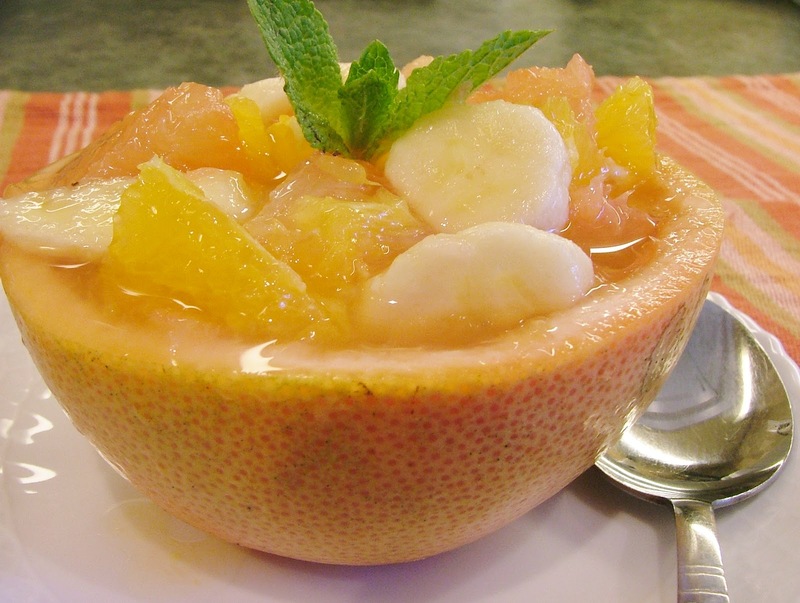 I've been flipping through The Galloping Gourmet cookbook I mentioned last week and one of the first recipes I've made is this Grapefruit, Orange and Banana Cocktail. As you can see the grapefruit peel doubles as a bowl (which I thought was a cool idea) and in true Graham Kerr style you add a splash of light rum to the mix. I opted for a shot of Malibu Coconut Rum and it fit right in! Halve grapefruit and remove flesh from sections. Peel and cut oranges into sections. Peel and slice banana. 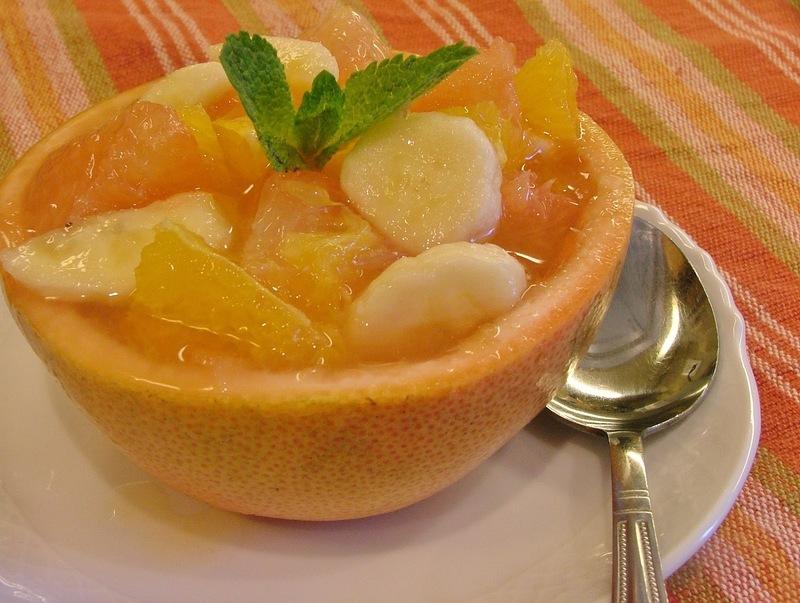 Combine grapefruit and orange sections along with juice in a bowl. Add banana slices sugar and coconut rum. Gently stir. Place mixture into grapefruit shells. Garnish with mint (if you have any). Ever have one of those moments when you're doing something and feel like you are doing it all wrong. I know I certainly have. Next time you get that feeling keep this video in mind. This isn't the "proper" way to play guitar. That's not even a drum. In fact he's doing it all WRONG! Interesting how the result sounds sooo right! "When you're not worried about the outcome, that's when you can discover things about yourself. You trust your gut and act on instinct"
Not exactly the easiest thing to do since much of our North American culture is all about measuring things, people and ourselves on outcomes. No wonder we worry so much. Here are a few things I've noticed when I worry about outcomes. It prevents me from being my best. It's a big waste of time because I have no control over them anyway. As a friend once said to me, worrying (about outcomes) is like a rocking chair; you go back and forth and get nowhere. I've already started to get more into the "do my absolute best on the execution" mode and focus less on outcomes. Let the wave's crash where they may! What a nice way to start a Sunday! What a nice comment! Thanks motherrimmy!